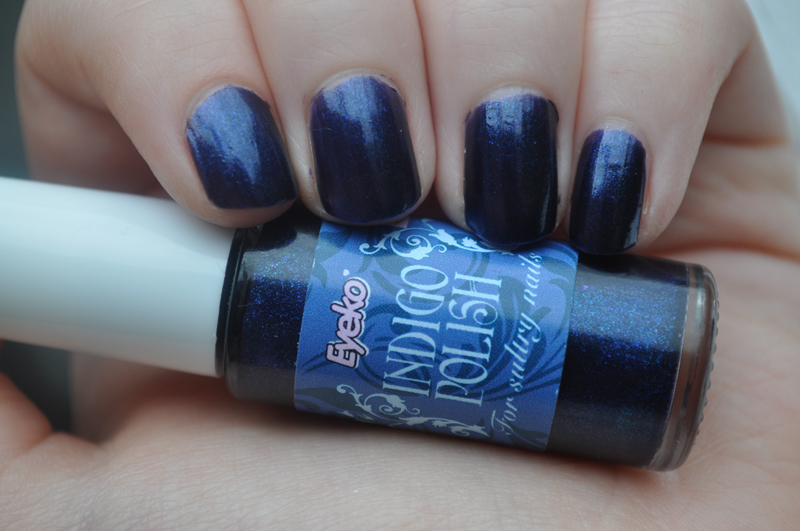 Eyeko's Indigo is a indigo which leans more on the blue side and has a electric blue shimmer running through it. 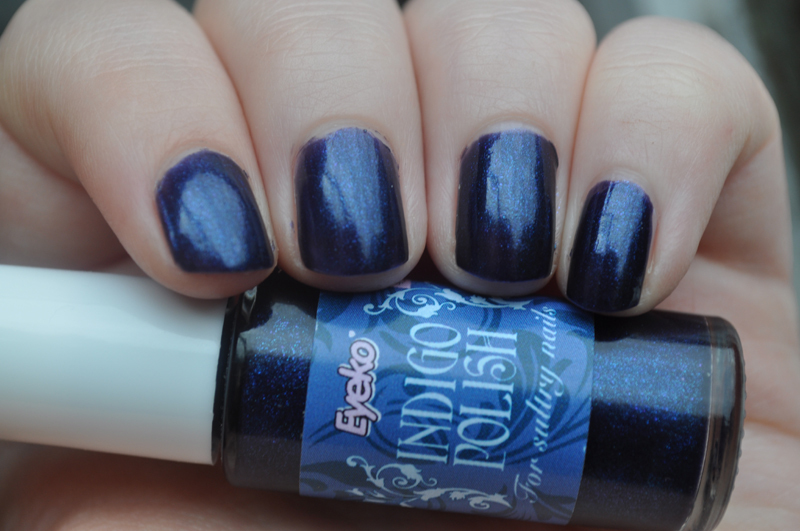 Only two coats are needed and as with all Eyeko polishes, each layer dries really quickly. I really like wearing this under OPI's Last Friday Night which makes it look amazing. When Eyeko re-branded they stopped selling the nail polishes which, in my opinion, were their best products. 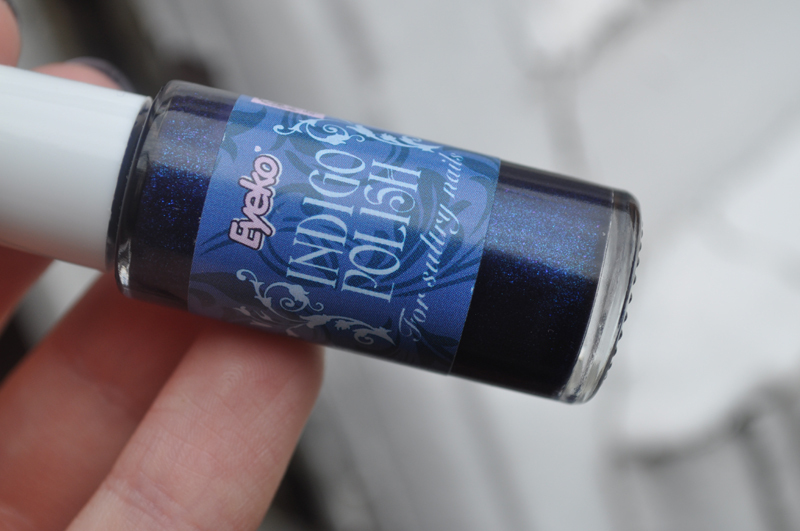 You can still pick them up on Ebay but a good dupe for Indigo is Indigo Dazzle from George (Asda). The one from George is just slightly more on the purple side of indigo but they're pretty much identical. The George one also only costs £1.75 so is actually cheaper than Eyeko. £1.75? Wow, get me to Asda now! what are the formulas like of the Asda polishes?